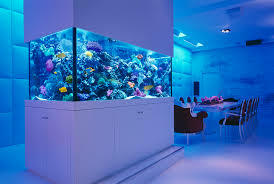 Feng shui aquariums are not only a beautiful addition to any home or office but are hailed as a source of wealth Chi. What makes feng shui aquariums a unique thing to have is that they have a perfect balance of the five feng shui elements. ** The water element is apparent since its the water in the aquarium. ** The wood element consists of the plants. ** The metal element is the aquariums housing. ** The earth element is the gravel and any rocks you put in the aquarium. ** The fire element is the lighting and can also be from the colors of certain fish. This type of harmony is very difficult to recreate in another way and is probably not as cool as an aquarium. The optimal location for a feng shui aquarium is in the Southeast part of your space. This is the area that is connected with wealth and abundance. Thats double the wealth energy flowing through that area. The most common fish to use in a feng shui aquarium are your basic goldfish or koi. They have a nice color and are very hearty. The dragon fish is used in feng shui aquariums also but they can be expensive. Make sure one of your fish is black and dont get more than 10 total. As with any living creatures, make sure you clean and maintain your feng shui aquarium so it can continue to bring you positive energy. 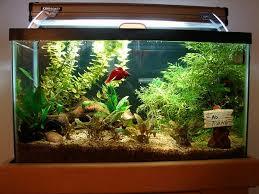 You want to make sure to remove and replace dead fish immediately and keep all the plants alive, green, and healthy. The aquarium needs to be in top condition to positively affect your wealth Chi. 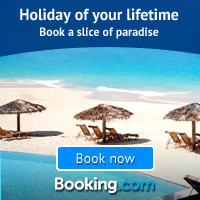 This entry was posted in Feng Shui, Happiness, Health & Fitness, Philosophy, Self Help, Wisdom.